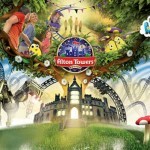 Alton Towers Thrill and Fun Break from just £139 per Couple! 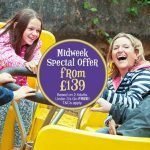 You will just love this Alton Towers midweek deal! For a limited time only, thrill-seekers can make the most of this special theme park offer, with an overnight stay at the Alton Towers Hotel and a day in the Theme Park from just £139 per couple! To grab the chance to explore the Resort for a day during the week, followed by a night’s sleep and breakfast in the Resort Accommodation simply click on the link below. If you are looking for a family escape this year, there’s no better time to take a trip away to the Alton Towers Resort than with this special midweek offer from £139 per couple. Explore the world-class rides and attractions, enjoy a relaxing night’s stay, and discover everything that the Alton Towers Resort has to offer. 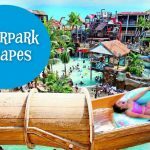 Included in this special One Day Midweek Theme Park Offer, is a day in the Alton Towers Theme Park, and a night’s stay at the Resort. Choose from the adventure-themed Alton Towers Hotel or the charming Enchanted Village Lodges! Plus breakfast also included. 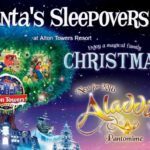 Stay at the Alton Towers Hotel or Enchanted Village Lodges and enjoy exclusive Resort benefits! Look forward to an hour in the park before the gates open, and fantastic family evening entertainment. Now open is the world’s first rollercoaster fully dedicated to virtual reality — Galactica! Hurtle through space, fly beyond the stars and speed across undiscovered galaxies to reveal the wonders of the cosmos… PLUS, dine with a twist at the UK’s first Rollercoaster Restaurant. That’s right not only will you stay overnight plus you also get free resort entry with this great deal plus prepare for a new flight with Galactica — the world’s first rollercoaster fully dedicated to virtual reality from just £139. 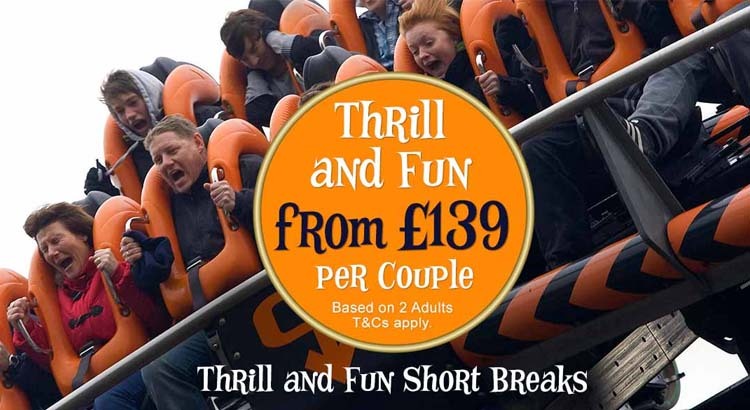 Lead price of £139 per couple is based on 2 adults sharing a standard room in the Alton Towers Hotel, a standard room in the Splash Landings Hotel or an Enchanted Village Woodland Lodge. It does not include Themed Suites, Rooms or Enchanted Village Treehouses. Children under 3 go free with the 1 Day Midweek Theme Park offer. 1 Day Midweek Theme Park Offer includes one day entry into the Alton Towers Theme Park only and is valid on selected off-peak dates only. One day entry to Alton Towers Theme Park must be taken on day of arrival. 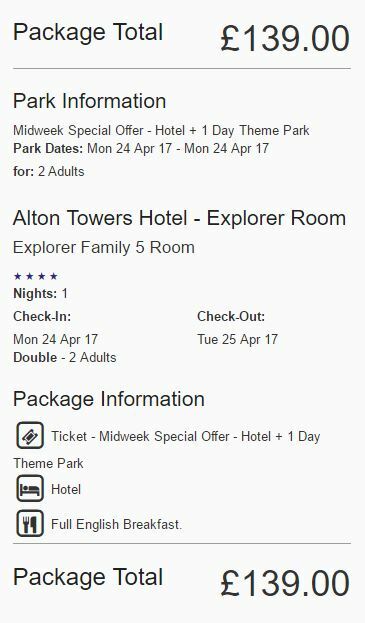 If a 2 night stay is booked and the 1 Day Midweek Theme Park Offer is valid on both days, the package will include 2 days entry to Alton Towers Theme Park. All rooms are subject to availability at the time of booking. Please note, this offer does not include Alton Towers Waterpark tickets.